In the spring of 2017, Océ-Technologies B.V. launched a revolutionary inkjet technology called UVgel. With UVgel, Océ wants to fill the gap between current technologies in the roll-to-roll production. Océ’s goal was to combine all the advantages of Latex, Eco-Solvent and UV inks into one inkjet technology. With the new UVgel, they have seemed to succeed in their ambitious goal. As part of a brand-new partnership, Océ & Color Concepts are excited to introduce the Océ Media Verification Program. The Océ Verification Program focusses on high quality printing, application directed profiling and high-speed printing. Your media will be profiled in three modes, with additional modes possible for certain applications. The mode with the best high quality/printing speed ratio will go through the Verification phase. During this phase, the media will be tested to its limits with application directed testing. In that way, the Media Verification Program will prove that the media is suitable for the application being used. With the UVgel technology, you are able to reach a large color gamut and have light fastness. It is suitable for indoor applications, has no drying time with low temperatures and utilizes a high productivity with the lowest ink usage in comparison with traditional inkjet technologies. We are happy to announce that Océ has placed an Océ Colorado 1640 in our testing facility in the Netherlands for profiling, verifying and media testing. The Océ Colorado 1640 can print from 20m²/h for backlit and specialty applications to 159m²/h for outdoor banner at high speed. With a variety of print modes and possibilities, you’re able to print a wide variety of applications on the same printer, without significant changes. The Océ Colorado 1640 is also equipped with a dual roll input, which allows you to switch to a different roll for another application or width, with just the push of a button. 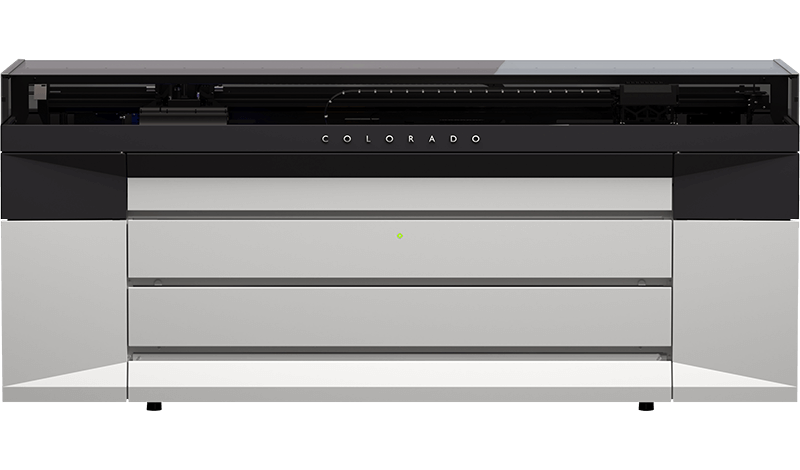 If you want more information or if you want to place an order for Verifying your media on the Océ Colorado 1640, please send an e-mail to sales@colorconcepts.nl.